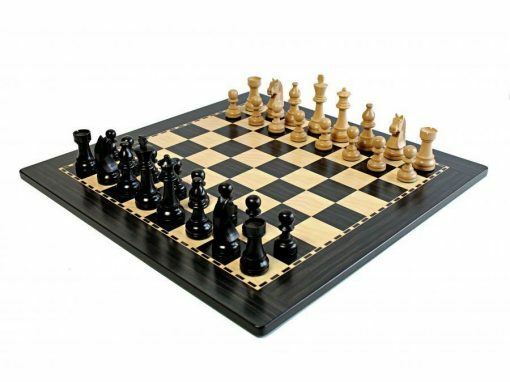 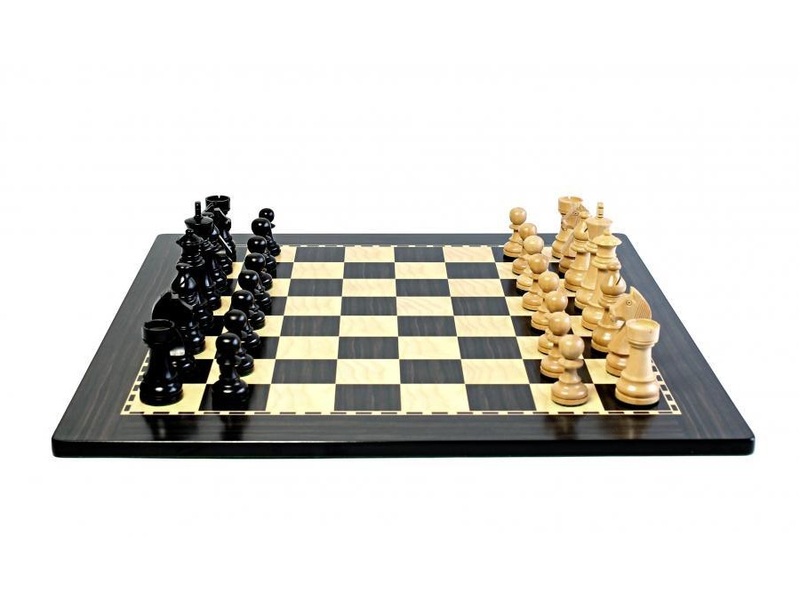 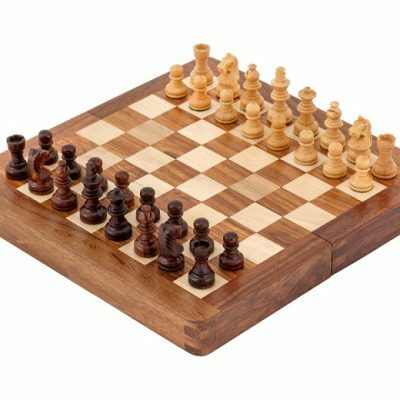 We have matched our Classic Ebonised and Boxwood pieces with our 16 Inch Anegre chess board. 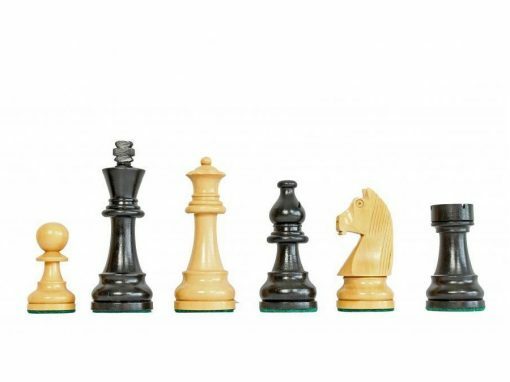 These Ebonised and Natural Boxwood hand carved Staunton chessmen are the perfect choice with their classic style. 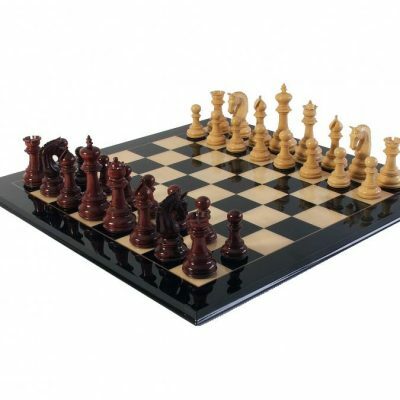 Featuring a down head Staunton style Knight, these pieces are with felt bases for easier playing. 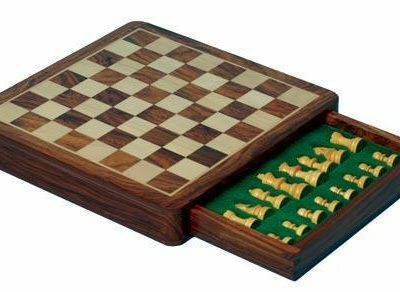 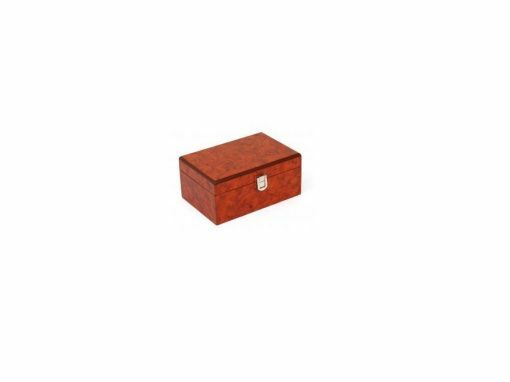 Also included in this delightful set is the root wood suede lined chess box.